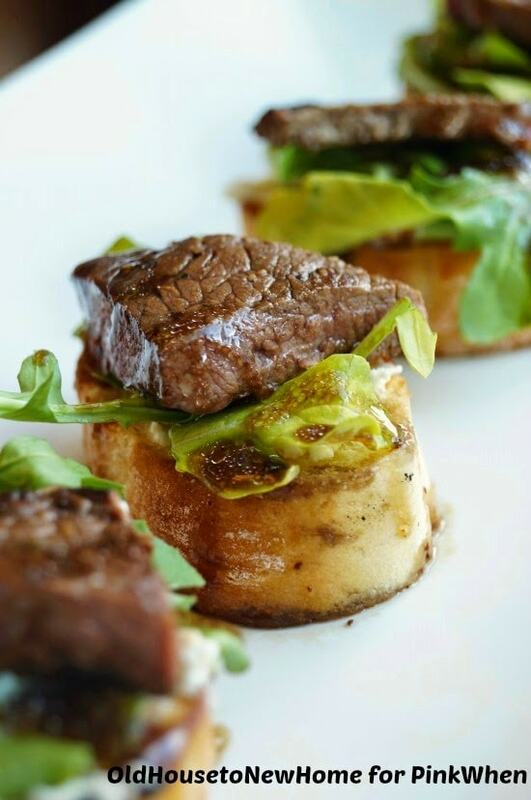 Have you ever made a Beef Crostini? 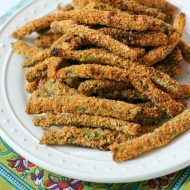 They are perfect appetizers that can replace an entire meal. Hello PinkWhen readers! We are in the last length of the holiday stretch and I have to say I am a little disappointed. The time between Thanksgiving and New Years goes so quickly and is over before we know it. So much planning and effort goes into all the meals, presents, and entertaining, and next thing you know, it is January 2nd and it is all over! Are you entertaining for New Year’s Eve? With a toddler, it is nearly impossible to go out to a nice dinner, so we love to have family over or New Year’s Eve for a casual night of appetizers and hanging out. I like to make a ton of heavy appetizers to replace the meal and people can nibble on them all night as they please. 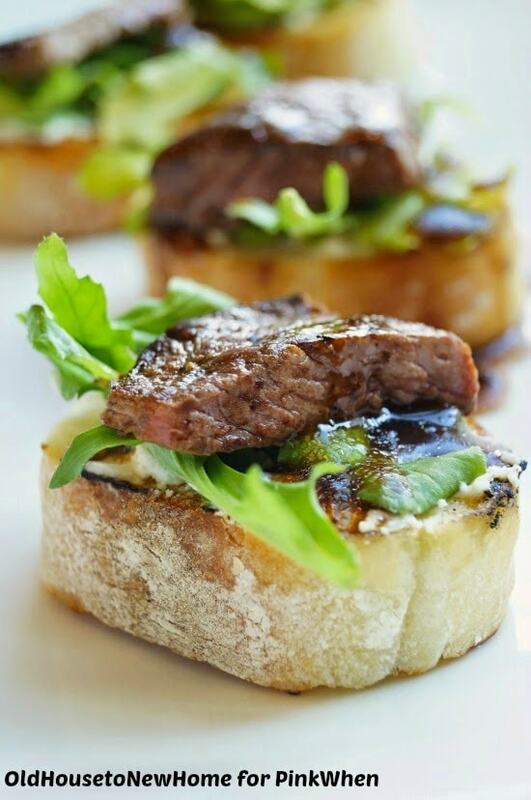 Like these Balsamic Beef Crostini with Herbed Cheese and Arugula. Everyone seems to love bread-based appetizers because they are so hearty and honestly, who doesn’t love a slice of good french baguette? Bruschetta is always a crowd pleaser, but I wanted to do something a little different this year. These beef crostini are absolutely delicious and takes barely any time or effort to make. You can also make put these all together in advance and just add the steak right before serving! I love a good make-ahead appetizer. I used what my store calls skillet steak for these, but any thin cut steak will do (just not boxed steak-umms please!) 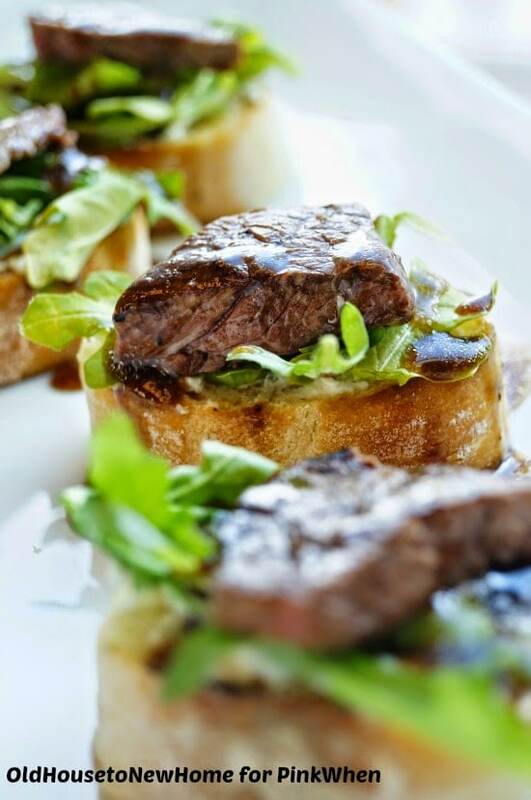 After a quick hour-long marinade, this steak makes the perfect topping for the crostini, which already has the creamy texture of the cheese and fresh peppery taste of the arugula. Speaking of the arugula, if you haven’t tried it, you need to! This is our favorite green in our house and it is absolutely delicious. Cook your steak in either a heavy bottom skillet or grill pan. Since the steak is thin, it does not require a long cook time. I did 3 minutes per side for mine to cook to medium. Cook to your desired temperature. Let steak rest for at least 10 minutes after cooking so you don’t lose all of the juice. After sitting, cut steak into small triangles and lay atop the arugula. Right before serving, drizzle about 1/2 tsp. of the balsamic vinaigrette over your crostini. Serve warm or at room temperature. 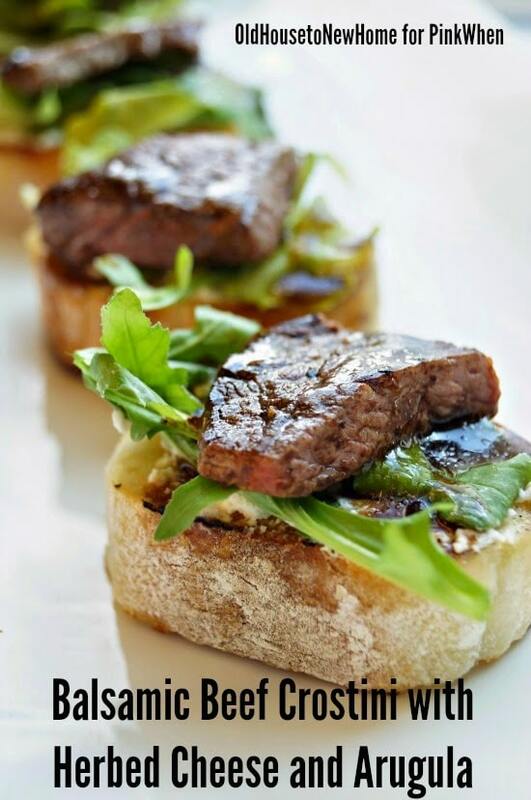 Enjoy these Balsamic Beef Crostini with Herbed Cheese and Arugula and Happy New Year! 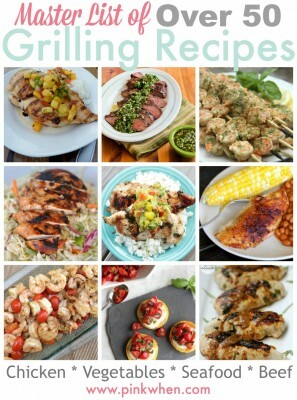 You might also like this master list of grilling recipes. Or you might also like this list of easy 30-minute meal ideas. 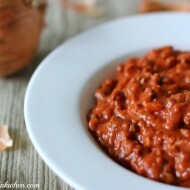 Perfect for bust weeknight dinners! Yum! I love anything balsamic. I just love the flavors. I really thought I commented here already! Shame on me. This really looks delicious. I do love balsamic like Leslie, but it’s the herbed cheese. YUM. These look delicious! 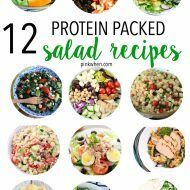 I would make a batch and just eat them for dinner 🙂 Pinning. Saying hello from the best of the weekend! Wow Jen, these look phenomenal! What a great appetizer…I love all the flavors! Glad to have you join us at Foodie Fridays! I’ll be spreading lots of foodie love around for you! 🙂 Hope you are having a great weekend! These looks amazing! Thank you for sharing on Show Me Saturday!